Jeep Parts | Orchard CDJ | Washington, MI " "
You won't find a better time than now to visit Orchard Chrysler Dodge Jeep Ram in Washington, Michigan for Jeep parts to get you the custom look and feel your want from your favorite Jeep SUV. There are many benefits that you get when you buy from us, but it's our Jeep parts expertise and suite of genuine Mopar parts that sets us apart from the competition. For the perfect part and a perfect fit, head to our Washington, MI location today! 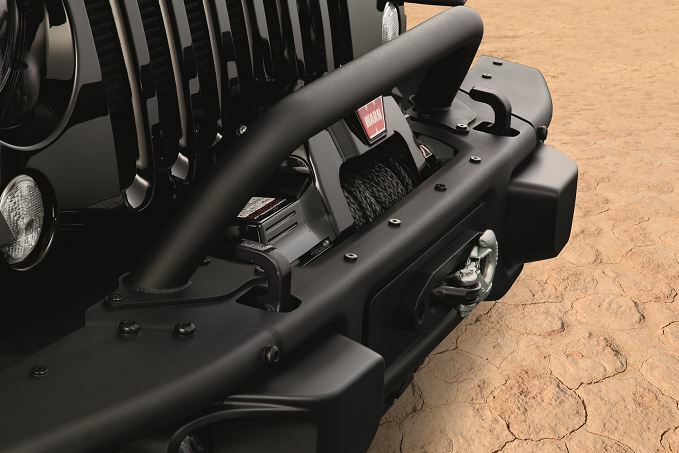 Order Jeep Parts at your Washington, MI Jeep Dealership. There's a wide array of specific Jeep parts available at Orchard Chrysler Dodge Jeep Ram in Washington, MI. Our Mopar parts selection includes radiator parts, engine parts, transmission pieces, wiper blades, headlights, air filters, oil filters, chrome add-ons, brush guards, floor mats, shock absorbers, roof storage and then some! Get in on all our Jeep parts action today! Now's the time to get your first Jeep parts order started. Reach out to Orchard Chrysler Dodge Jeep Ram in Washington, MI in person or give our part department a call to learn a little more about our selection and how our Jeep parts can better your vehicle. We'll get your parts to you as soon as possible so you can enjoy your Jeep SUV's new custom look and feel.